What is a Smoker? What is a Grill? Pellet smokers are widely used by people of all experience levels and are a fantastic way to enter the smoking community. Their easy to use functionality is ideal for big game hunters, party hosts, family chefs, and professionals. In this overview, we’re going to take a look at a handful of pellet smokers and outline their top qualities. 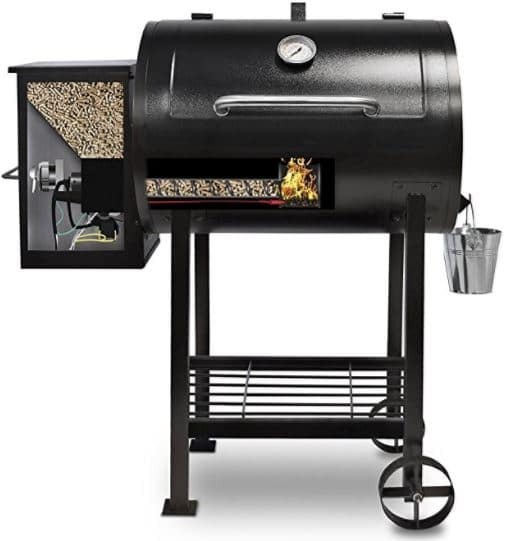 We’ll provide you with the pros, cons, and top features of the best pellet smokers. 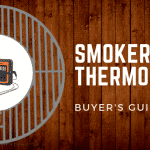 With this, we’ll also provide a brief overview of the difference between a griller and a smoker and touch on the best wood pellets for smoking. Let’s begin! Here’s the answer: a smoker uses low amounts of heat whereas a griller uses high heat. Additionally, a smoker uses indirect heat while a griller uses direct heat. For the sake of this article, we’re going to use them interchangeably because some models do both. Some of the models we’ll be covering feature the word griller, but rest assured, it’s all the same. Picking the perfect pellets is as important as any other piece of the puzzle. Since pellets produce exquisite flavors and greatly contribute toward your delicious results, it’s critical that you choose the right one. While you should keep in mind that flavor preference varies and that will ultimately be up to you, here’s our recommendation on the best wood pellets for smoking. 20 lb. bag - buy in bulk! 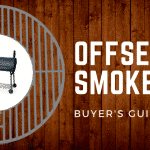 Now we're going to transition into the review section of our article and go over the models that made our list for the best pellet smokers. High quality, durable, and built to last - this thing is a beast! The Cookshack PG500 Fast Eddy's Pellet Grill holds true to the Cookshack name being that it’s as big as a shack! This high quality pellet grill is certainly the most expensive on our list, but with that comes all the bells and whistles. We definitely saved the best for last, let's find out why! In the end, the Cookshack PG500 Fast Eddy's Pellet Grill makes comes out on top as our choice for the best pellet smoker. This smoker is constructed by smokers, for smokers. It comes with extra drawers for added space and it prepared to smoke whatever is tossed inside. 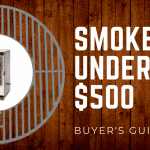 The only downside is its price tag, but you certainly get what you pay for with this smoker. Large size is perfect for a variety of uses: big game meat, parties, holiday hosting, etc. 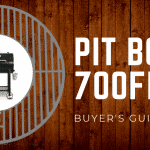 As Pit Boss exclaims, “The 700FB Wood Pellet Grill offers the best value per square inch in the pellet grill industry”; a statement we would have to say isn’t far from the truth. Pit Boss definitely takes grilling to a whole other level and let’s anyone become a master chef. Click here to see our full write-up of this model! Temperate control is fully digital and is very user friendly - just turn the dial! 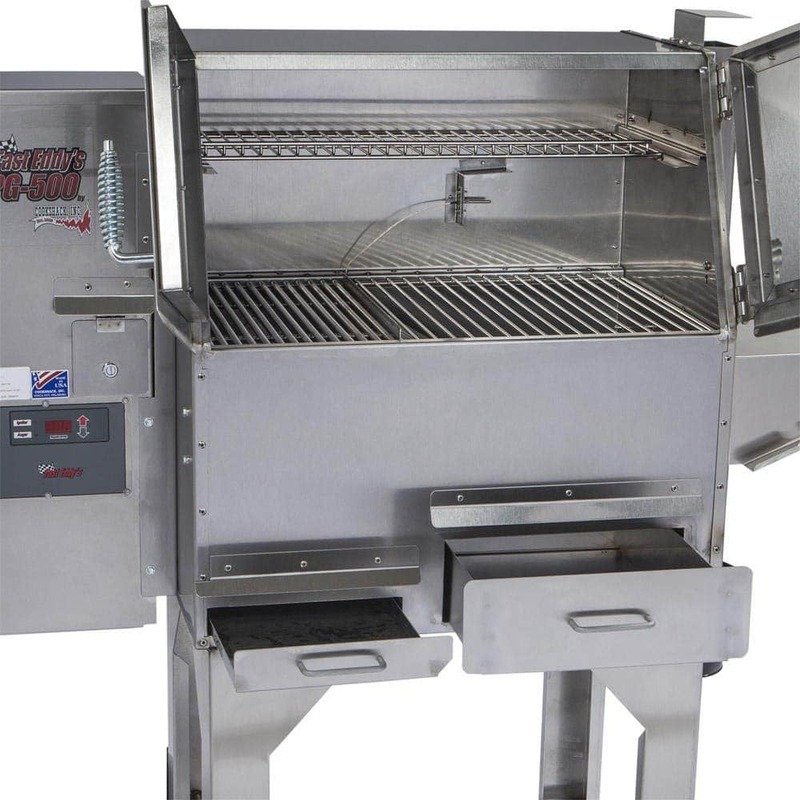 The Pit Boss 71700FB is a smoker that is built to do one job and do it well: smoke meats on demand. This model is large and perfect for big game roasts or large parties. Aside from it being a little challenging to move fully loaded, this is a supreme smoker. 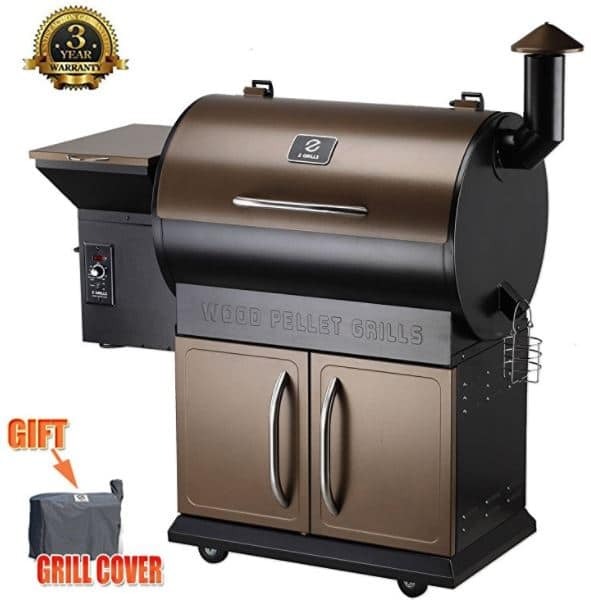 Z GRILLS Wood Pellet Grill & Smoker has a lot to offer and certainly looks good while doing it. This huge model not only offers a main rack and a warm rack, but it also comes with a 3 year warranty to safeguard any mishaps that may occur. Z GRILLS is well-known for their high quality products and this grill certainly fits the criteria to a pin. This massive tank of a model is perfect for whatever you have in store and is sure to hold up to demanding menus. This grill is very simple to use and is perfect for storing tools or accessories under the grill in-between uses. One of the massive benefits to this model is the automated pellet feeder, definitely helps automate the process. Grill with ease after one simple push! The REC TEC Wood Pellet Grill is a hot commodity and comes with an incredible warranty to say the least. This backyard beauty is ideal for a variety of cooking environments and will be the catalyst for your next cooking excursion. Another fan favorite is the REC TEC Wood Pellet Grill, and for good reason. In general, this is a massive smoker packed with high-end features. The excellent 6-year warranty speaks for itself while the versatility and functionality of the smoker will make make every smoking session one to remember. WiFi range is limited - people have reported a max range of roughly 20 ft. The Green Mountain Grills Davy Crockett Pellet Grill is number three on our list and is a Smart little, on-the-go grill, perfect for people who love to camp, tailgate, or travel. Weighing in at only 57 lbs., this grill can conveniently be transported in nearly any car and makes smoking a breeze. 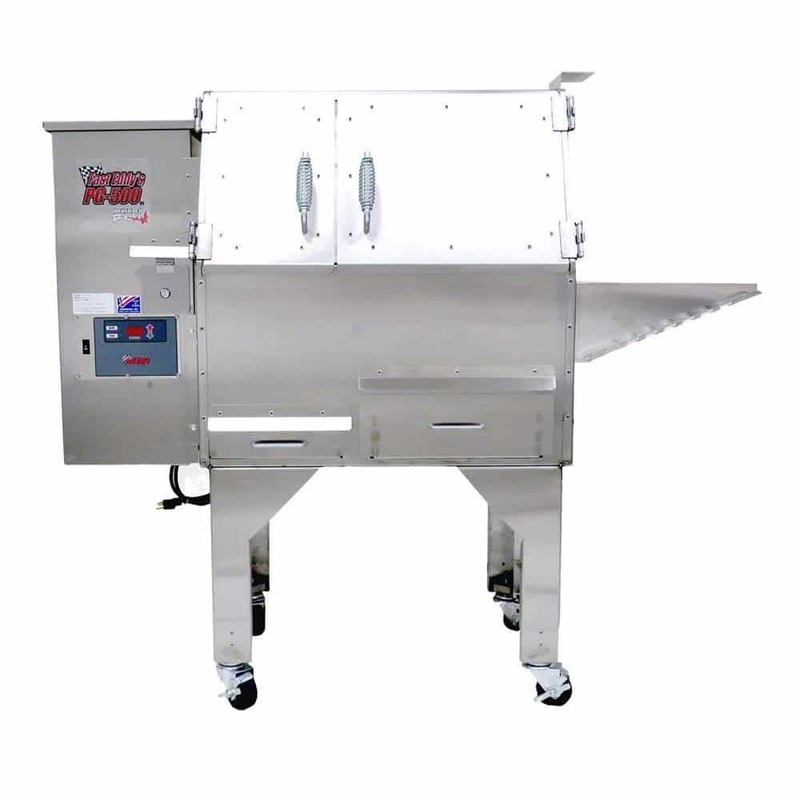 Includes stainless steel grease bucket for catchy and cleanup and cover! 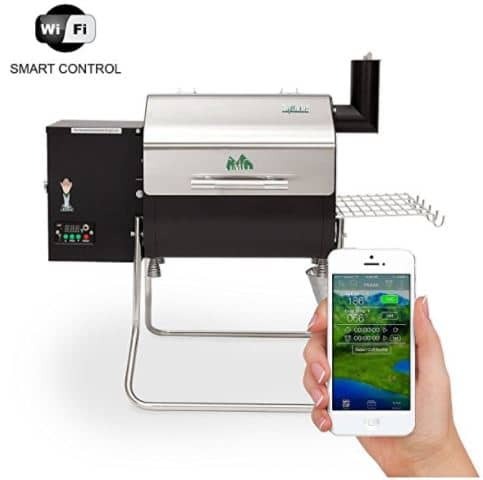 The bottom line with the Green Mountain Grills Davy Crockett Pellet Grill is that this a top of the line model with some innovative technology behind it. In addition to it being so tech-friendly, this model is very user-friendly and easy to transport - great for all experience levels and occasions. 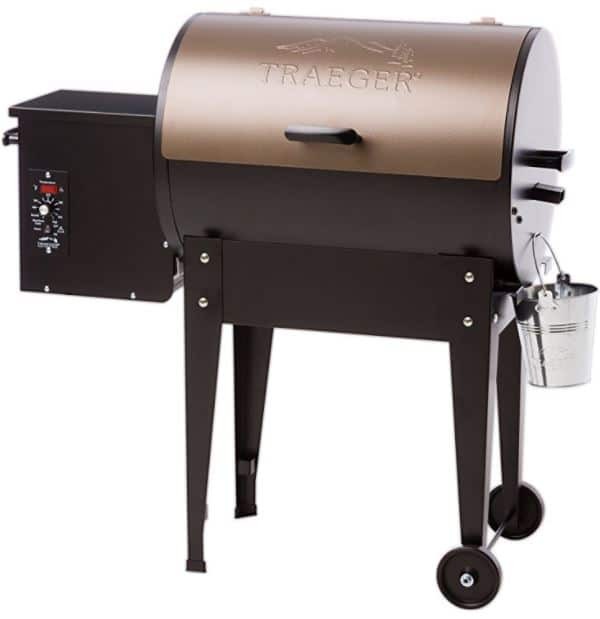 The second smoker on our list is the Traeger Junior Elite Pellet Grill and this thing packs quite the punch. 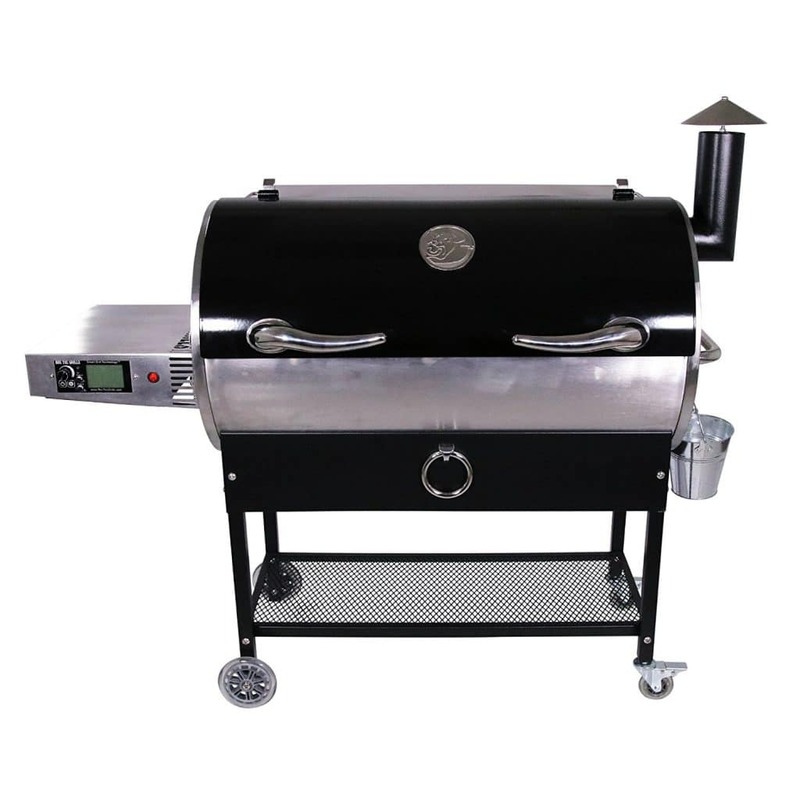 This smoker is filled with features and offers customers a variety of great qualities. Perfect for all chefs, this easy to use model will have you smoking in no time. Overall, the Traeger Junior Elite Pellet Grill is great for those who are looking for a straightforward model that sets up in minutes and is easy to store. This smoker is nearly stress free and perfect for parties, socials, or relaxing kickbacks. 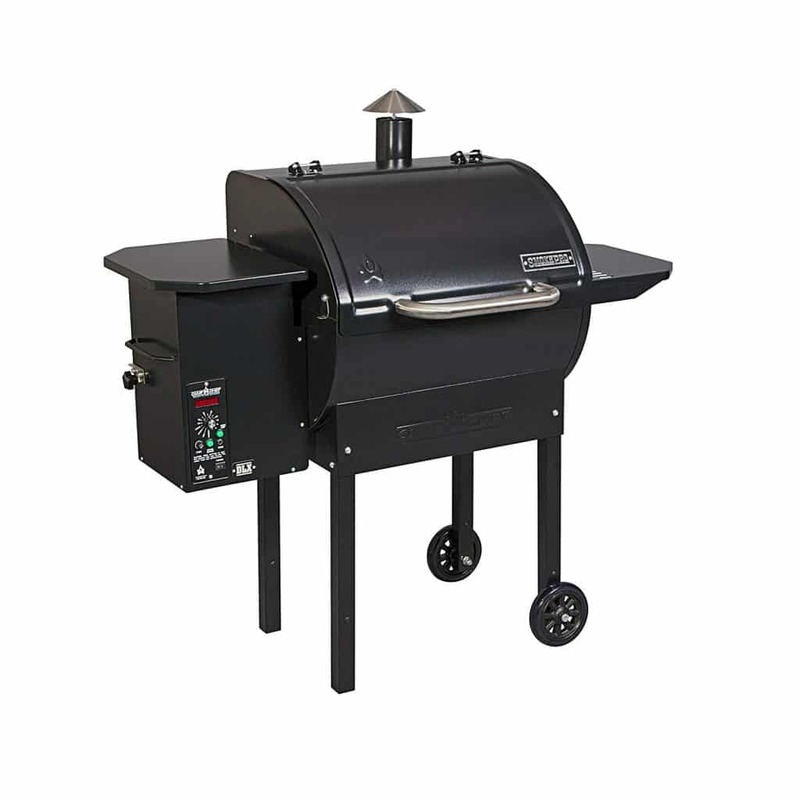 Last but not least is a supreme smoker, the Camp Chef PG24DLX Deluxe Pellet Grill. This moderately priced model is backed by the trusted Camp Chef name and will deliver tasteful flavors every time. 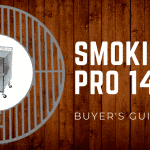 Whether you’re in search of your first smoker or a seasoned professional, this is perfect for all experience levels. Camp Chef smokers are made from only the finest materials and contribute toward tasty, delicious outcomes. In addition to the great qualities mentioned above, there are some added benefits you should know about. 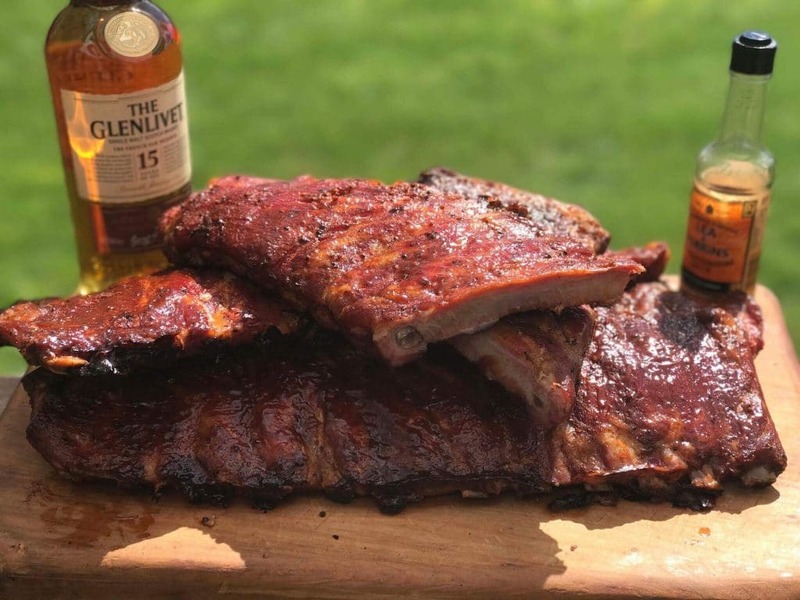 Here are the perks of owning this smoker. When it comes down to it, the Camp Chef PG24DLX Deluxe is an excellent model for all experience levels. It's easy to clean, very straightforward to operate, and makes smoking seem like a walk in the park. 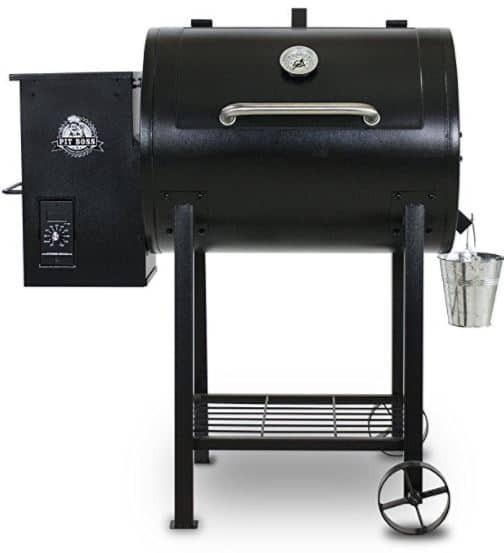 In the end, the bottom line is these pellet smokers all come with qualities that make any grilling or smoking session special. Whether the model be big or small, many racks or few, the final decision comes down to identifying which is best for you. If you want the top dog, we recommend the Cookshack PG500 Fast Eddy's Pellet Grill, if you’re a tailgater or avid camper, go with the Green Mountain Grills Davy Crockett Pellet Grill, and if you’re just looking for a solid smoker to plant on your deck or backyard, go with any of the rest. We hope this review of the best pellet smokers has helped you along your journey toward enjoying some delicious meals. The flavor achieved from pellet smokers is unlike anything else and we can’t wait to hear about your experiences. Be sure to leave a comment below and let us know which one you ultimately went with. We love hearing from folks! Happy smoking!